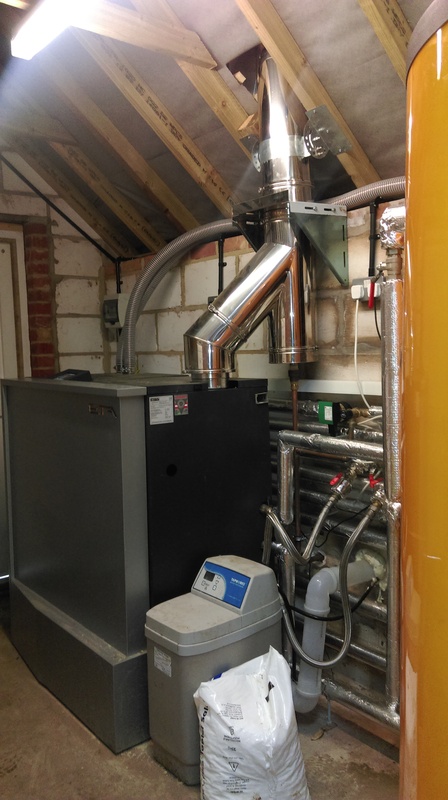 Boiler: ETA PC-32 Pellet Boiler. 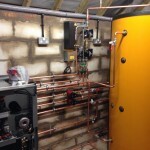 Description: Domestic installation that combined the power of this very compact pellet boiler and instant hot water. 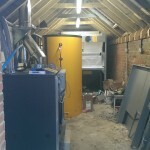 The comfort of the house has improved since we provided outdoor weather compensation. 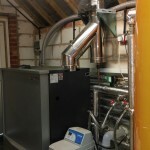 The large property was always comfortable in a few rooms and cold in others, with outdoor weather compensation the house has an even heat and the client has the added benefit of saving fuel. 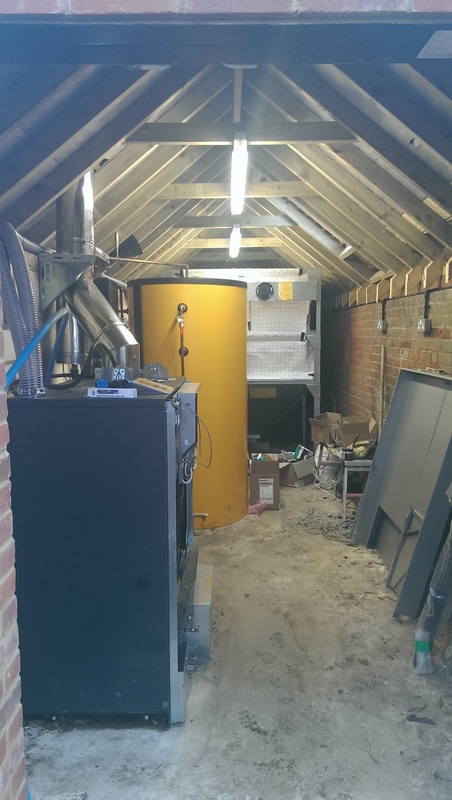 The installation was installed under the RHI scheme and the owner is now receiving a quarterly payment based on the properties EPC over the next 7 years. 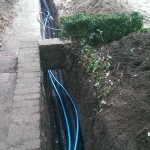 The underground Duo Microflex pipe work to the house was installed so that the boiler could be in the garage without the need for the boiler to be installed in the house. 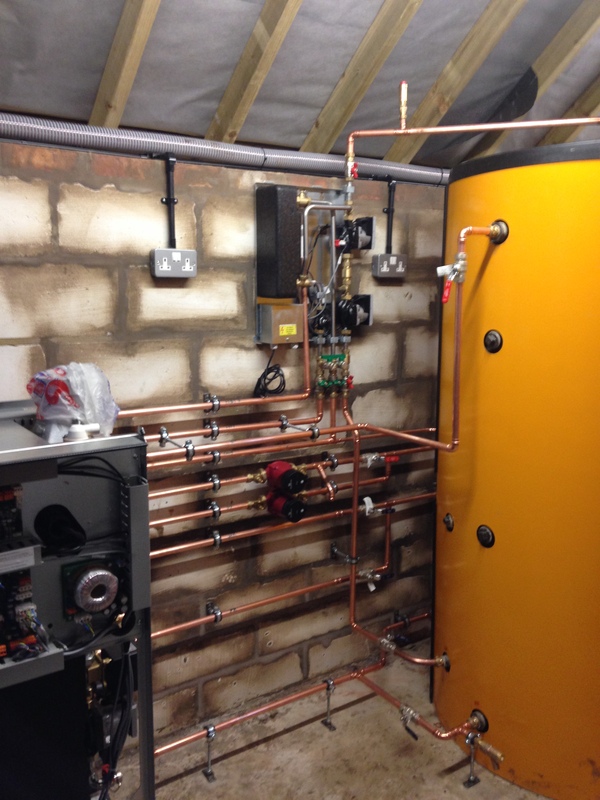 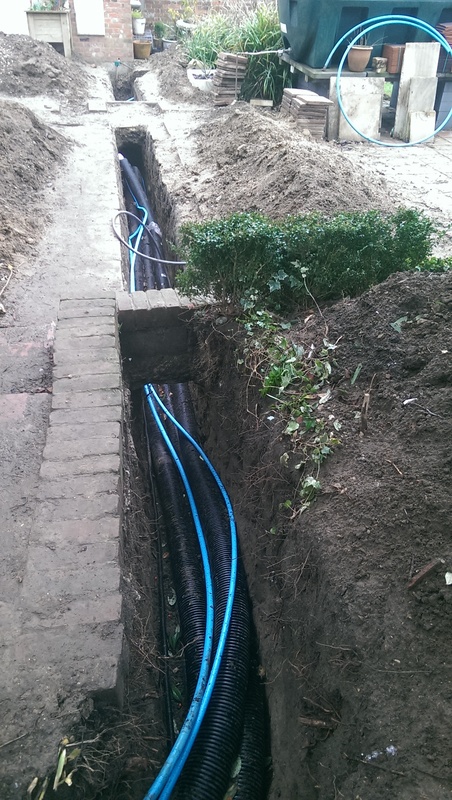 The Duo Microflex is a leading brand in domestic grade underground pipework and has very good properties for short runs like this installation.